Add mouthwash to you daily hygiene routine and see a spectacular difference! The mouthwash will keep your mouth feel fresh, and help clean hard to reach places where the toothbrush or dental floss can’t reach. A fresh breath will give you confidence before an important business meeting or a date. Enjoy a minty breath. Do you think mouthwash only has one purpose? It has a number of them! Rinse your mouth before brushing your teeth – it will soften the residual dental plaque, making it easier to remove it. Rinse the mouth after brushing your teeth – it will additionally protect the mouth, provide the necessary dose of fluoride and strengthen the action of toothpaste. Rinse the mouth between meals – it will help get rid of leftover food, which is a breeding ground for bacteria. Pharmacy and drugstore shelves are literally filled to the brim with the amount of mouthwashes available. Which one should you choose? Which one suits your needs best? It is best to ask your dentist for advice. 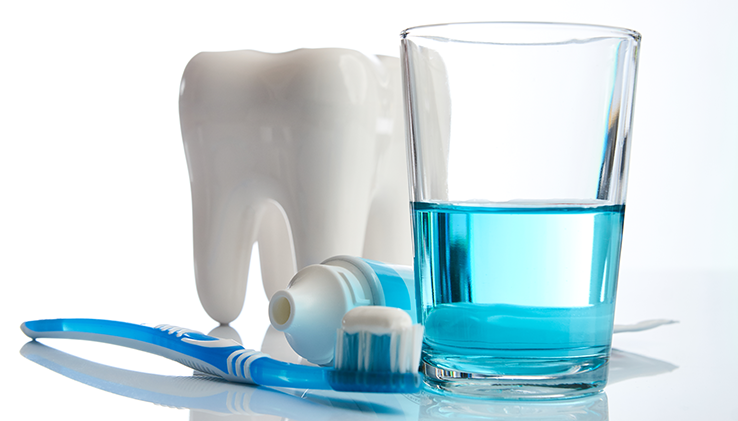 Some mouthwashes help prevent periodontitis, others whiten teeth, prevent caries, or support recovery after surgery. It is important to choose the right one. Using mouthwash couldn’t be simpler. Fill the cap with the liquid and rinse your mouth for about 30 seconds. You need to use it moderately, however. Rinse your mouth no more than twice a day. Using mouthwash too frequently may dry out the mucous membrane and consequently damage it. We should also remember that using a mouthwash should only supplement our daily oral hygiene routine, it cannot replace tooth brushing or flossing. It is best to learn good oral hygiene from an early age. This is why you should introduce the habit of using mouthwash together with your children. One difference between a children’s and adult’s mouthwash is that it doesn’t contain alcohol. Mouthwash for children contains milder substances in lower concentrations. These rinses are enriched with enamel-strengthening ingredients. They often have a colour, taste and scent that encourages kids to use it. It can be great fun! Mouthwash is a great solution for people wearing permanent braces. Locks, arches and ligatures make brushing difficult. Such hard to reach places are best treated with a mouthwash flosser. It will help get rid of leftover food and bacterial plaque from around the locks and rings. 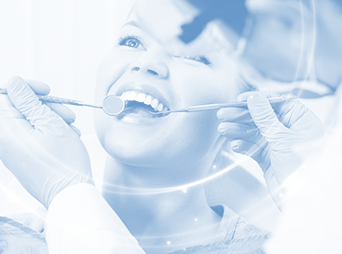 Using mouthwash is extremely helpful in maintaining good hygiene, as well as in the treatment of many post-operative diseases and in supporting recovery after surgery. It helps reduce the amount of bacteria that live in your mouth and limit the growth of dental plaque. Thanks to it, bacteria do not produce volatile sulphur compounds that are the cause of bad breath. Mouthwash is also available in travel sizes. You should always have a bottle of it with you. Thanks to that you will always be ready! A spontaneous outing after work? An unexpected dinner with a client? Always be prepared. Refresh your breath and be ready for the next meeting.